This looks a lot better than the half arsed attempt that F1 came up with, and definitely a lot better looking than the Halo. I'd happily have that on a F1 car. + 1 on my vote. Is that not like the one that Vettel said made him giddy? I believe it is... If i remember correctly the claim was that the convex of the plexi distorted the images making him dizzy at speed. I assume a narrow slot along the lower edge could keep it clear, a slot and lip could probably keep the outside rain free too, but that would not help if the driver sticks it in the wall. I ride a bike with a screen and my biggest problem is multiple reflections between screen and visor. Compounded as I need glasses when riding too. Indy obviously believe the halo is not the way they ideally want to go. I they can develop a functional screen, we might see the end of the dreaded halo in the not too distant future. As usual, Indycar does things F1 can't. All F1 has done is strap ideas onto existing cars. That's a high school way of going about things. Indycar have designed the cockpit area to take a screen design and therefore the looks and functionality will probably be a lot better. Fogging will not be an issue as similarly shaped cockpits exist in other motorsports like powerboat racing without issues with inside fogging. Don't wanna make this another halo thread but my post from the halo thread shows why the fia didnt choose this shield. I didn't even notice the halo on the Formula E car when the photos were revealed, so it makes me think that there is a good chance that the F1 halos will look a lot better than when they were testing it on the 2016 / 2017 cars. As Mayhem pointed out above, the FIA did have good reasons for not going along the aeroscreen route. Just going by the pictures the Indy screen is curved left to right (obviously), but is straight bottom to top. The F1 screen looks like it was also curved bottom to top. This may have compounded the vision distortions Vettel reported. Unless soemthing's changed, the Halo in the test above IS NOT made from the same material the actual halos will be made from. If it wore it would have shattered and likely not have maintained its structural integrity. 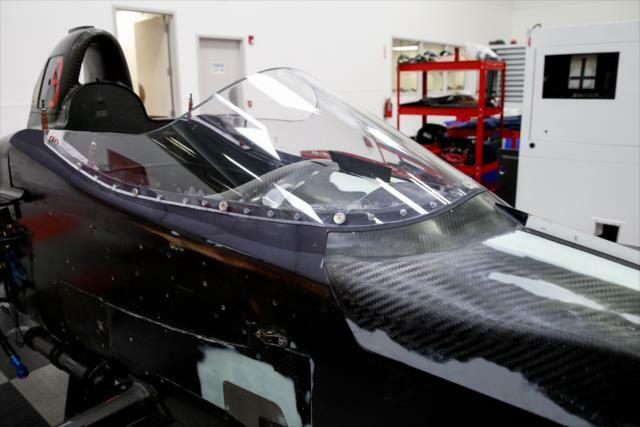 Either way, that little half shield wont protect a driver in Indycars from things like the Surtees and Justin Wilson incidents so personally I find it pointless. As well, the archaic riveting used to install it is IMPO, severely our of place in this century. Perhaps a hybrid of sorts where the shield extends all the way back to the roll hoop, but only a 10" wide sliver and the rest to either side remains open. I'm sure they've done oodles of tests, but the halo worries me in that I worry it will be pushed into the drivers head if struck from the side with force such as hitting a wall while the car is sideways or having an airborne vehicle strike it. I hope not, but I can't stop wondering about this possibility. The aeroscreen sure looks better to me. But alas, I am not an engineer or a driver so it's going to be interesting to see how this pans out. Think it through. If something struck a halo hard enough to deform it to be an issue, that level of energy would kill the driver without the halo. Having now watched James Allison's video on the Halo, it seems the Halo in the video is the official one to be issued to all teams from the FIA. However, my experience with Ti is that is does not flex and bounce back the way it did in that video. Generally speaking, alloys will bend one way and still hold together structurally, but once the material is coerced back to it's original position/shape, it snaps. Alloys will accept the manipulation back only once heat is applied to change its physical properties, but once that's done, it must be heat treated again to regain it's strength. Otherwise it would remain somewhat malleable. The only thing I can think of is that they've formulated a different mixture for this purpose that allows the flex without breaking, but I will venture to say that once a halo has taken a hit (should be an extreme rarity) its life cycle is done. The best thing in James Allison's video is his explanation that although the unit is standardized, the teams are allowed to design fairings (bodywork) to make them aero-efficient which means we'll likely see something more along the lines of the sleeker looking one Mercedes released in renderings. Still clumsy looking IMPO, but better than we've seen thus far I'm sure. So i'd guess then, as unlikely as it may be, that if a car took a blow to the Halo it'd have to be, at a bare minimum, pitted for an inspection. or possibly even subject to mandatory retirement. I can't see any way the FIA would allow the car to continue with what could potentially be a faulty piece of safety equipment and as there's nothing attached to the halo to measure the force of the impact, that I know of anyway, does this mean any whack from a solid object would require action ? Along this line of thinking, does anyone know how long it takes to remove and replace a Halo? 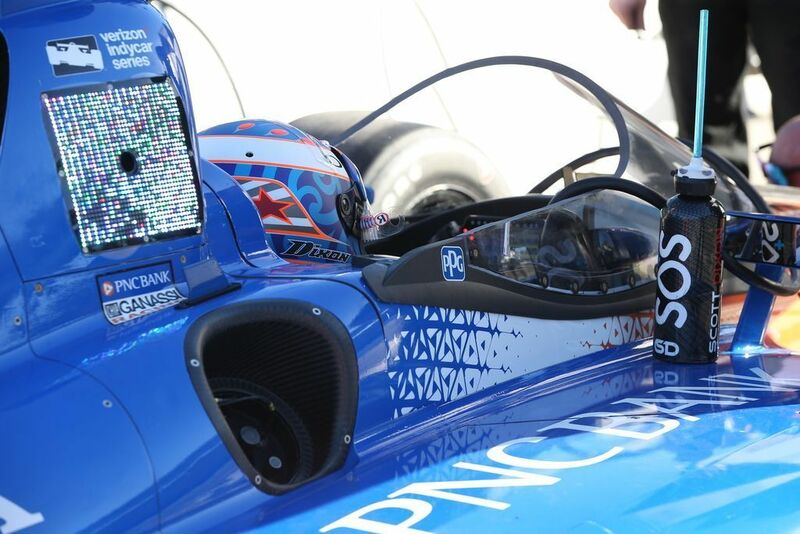 scott dixon helmet cam from the screen test. looks like the indy car screen base starts further away from the driver than the f1 screen did. (will have to google some pics of the f1 screen for comparison) i imagine the two sides will be in touch about their respective results. The components are supposed to die so the driver does not. The energy they absorb will damage them. And yes, if any is suspected of any damage, I am confident teams will conduct the appropriate tests (stress, x-ray, etc.) to ensure they are 100% undamaged. If any car took a hit to the halo during a practice/race, I am sure that it would be a major event requiring a trip to the pits. And I am also confident that if any trackside observers noticed that any halo was not up to standards, that car would be called in. The engineers back in the pits have a lot of telemetry to measure any external forces, and it is a simple matter to affix the appropriate sensors to the halo. 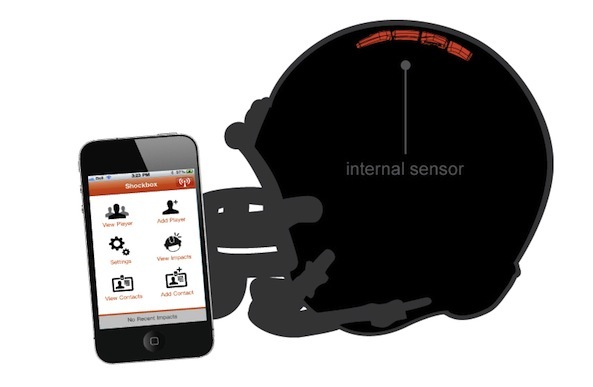 Heck, for sports that require a helmet, there are such products like Shockbox that not only read the force, but send a message to a cellphone to indicate any force has exceeded any threshhold. That player would be immediately removed from the field of play, and examined by a doctor. From what I have seen, a halo is attached by just a few bolts. But any engineer knows that if a halo is damaged, then the mountings are also probably damaged. 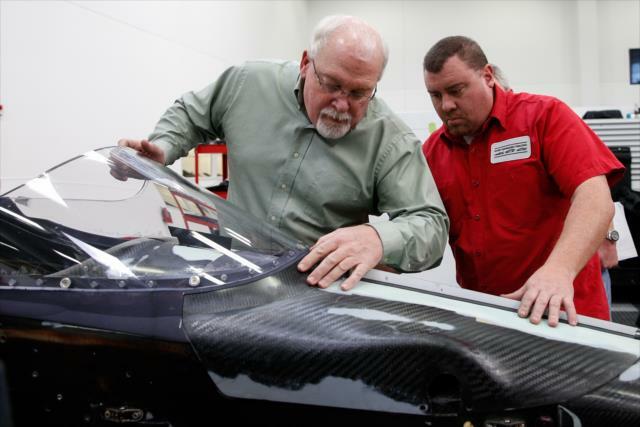 That is the ugly part, the chassis must be examined and tested to ensure there is no delamination of the tub, and that the mounting points are undamaged. IMO anything powerful enough to damage a halo is a major shunt, and the car will probably be retired from the race anyways. No, that's not how it would work unless in extreme circumstances where the halo is severely broken and hanging/flailing about or a sharp end is dangerously close to the drivers head. Otherwise, just as with bodywork or components broken on cars, the driver would be allowed to finish the race. Drivers helmets get nicked all the time with pebbles and once the gelcoat is compromised the helmet is retired. If a car had been in an incident that left the Halo hanging off like that, I daresay that the driver probably wouldn't have a choice in finishing the race either way, same with any sort of visible damage to it really. If it can take the sort of impacts and weights that are being bandied about, it'd probably take a direct hit from another car/wheel at speed to do the damage and that would be a race ending incident either way. F1 mercenary, I agree with your original statement of "once halo has taken a hit.... Its life cycle is done."..... For the simple reason of the structure now has a deform/ fracture and if it sustained another hit wouldnt function as engineered. The fia wouldnt take that risk of allowing that car to continue. So i dont believe it would fall under the classification of your second statement "Otherwise, just as with bodywork or components broken on cars, the driver would be allowed to finish the race." On a side note; if the halo was damaged due to any form of strike continuing the race would be the least of the drivers worries at that point. Something has gone seriously wrong for that instance to occur. 2- No halo, debre strikes cockpit driver seriously injured and car would obviously retire the race. Everyone would pick option 1. This is assuming the halo has a visible failure in its integrity. Now, playing devils advocate here, and I know this scenario is very remote, but what if an object strikes the halo just enough to cause an indentation or a minor fracture in the structure. Not enough to cause any easily identifiable damage but enough to still render the device useless in another impact. I can think of one or two situations where a damaged halo could be a higher safety risk than not having one there in the first place. I guess what i'm getting at is what Blinky eluded to. I'd like to see impact sensors placed in the halo that raises an alert in an impact, signalling a compulsory pit stop, inspection and, or retirement. It's the old business saying; "If you can't measure it, you can't manage it". If there's no way to identify and measure an impact on the halo, then the only way to manage it, if there's no easily visible defect, is to rely on driver feedback, and i'd wager no driver worth 2 cents would volunteer info that could ruin their race. Just as with Scuba tanks, an in depth x-ray or resonance imaging of some sort would be utilized to inspect the component on the molecular level. The days of giving 'er a once over are long gone and things like these are scrutinized diligently because in the event of an injury or worse, everyone wants to be absolved of responsibility as much as possible. 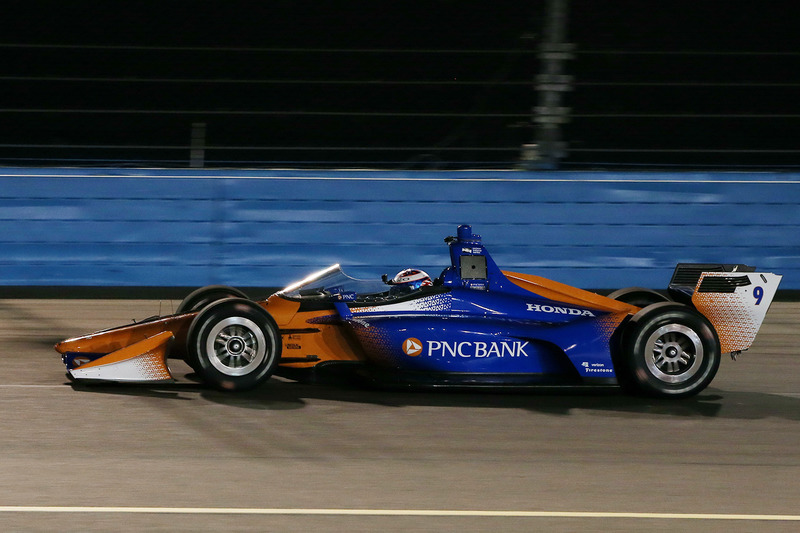 I know it isn't the pinnacle of open wheel racing, but I am slowly gravitating towards indycar. The cars look really good again and now this vs the Halo is a no brainer. Also, the racing was already very close but they are actually trying to make it even closer. These new body kits are designed so the trailing car is effected less by the turbulence which will make a car able to follow even closer (which is a HUGE problem in F1 right now). They are too reliant on aerogrip and less on mechanical grip. I love racing to watch the talent of the drivers and passing, and not to see cars have a 10 second lead after a few laps. I really wish F1 could somehow be similar but I know it would gherkin off Ferrari (and AMG). I watched more Indy last year than I had in any one season for years and really enjoyed it and looking forward to this season getting started. It's nice to see close racing in a spec series where the driver can make more of a difference and there's a better chance of different drivers winning over the course of a season. But I also like the challenge to the teams in a formula series because I'm a big geek who likes to read about developments and how different people tackle the same problem. There's room for both and each needs to be appreciated for their own strengths instead of comparing them. 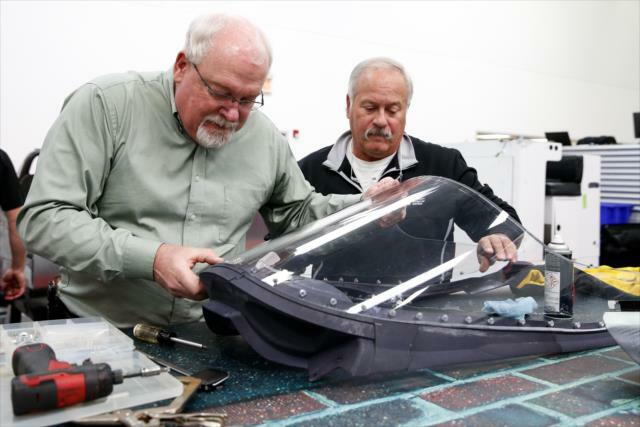 What is important to remember is that the Indycar windscreen is a work in progress. Although the cars have provisions to fit one once approved, they are not expected for a few months. My personal position on driver head protection is that I am willing to endure uglier cars if one driver's life is saved twenty years from now. I suppose they could use full windscreen tear offs during pit stops as is done in NASCAR.